Originals passed to the Archive to copy, November 2016, and then returned. 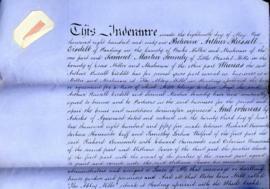 Legal deeds and other items relating to the Soundy family of millers and The Abbey Mills, Reading. The originals remain in possession of the family. Catalogued by Nathanael Hodge, November 2016.